Not everything can be protected as a trademark. It could bee too descriptive, or you might not be using it as a real trademark. We’ll evaluate the strength of your trademark. So many trademark applications get refused because of existing registrations that are too similar. We’ll run a comprehensive trademark search for you. We’ll be your guide throughout the registration process. When we’re successful, you’ll have exclusive rights to your trademark throughout the United States. As your business and brand grows, the last thing you want is to be told you can no longer use your trademarks — your name, logo, slogan, or other brand elements that identify your business to your customers. So many business owners fall victim to this. Then you have to deal with rebranding, more paperwork, and confused customers — in other words, that’s a lot of time and money wasted. Take the time now to protect your brand so you can avoid these issues in the future. We know, you’re busy. You’ve got a lot on your plate already. We’ve got a process in place for trademark protections that guide you through the process in a way that’s easy and hassle-free. We’ll protect your brand while also protecting your peace of mind. Thousands of business owners have trusted Indie Law to take care of the legal side of their business. Beyond our trademark packages, we’re a community leader as well. We manage a private online community of over 7,000 entrepreneurs. Our team has delivered keynote presentations at conferences and taught in workshops across the country. We’ve also been interviewed on podcasts, featured in blogs and magazines, and received awards for the value we provide to entrepreneurs and small business owners. You’re building your brand, and you should be proud! 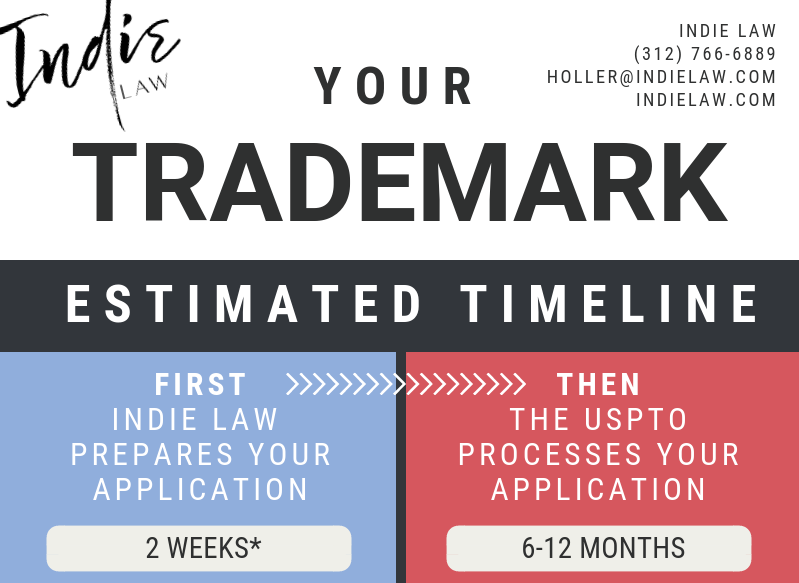 Now it’s time for you to really, literally, and legally OWN your brand with a U.S. trademark registration.